We’ll be hitting the road once again to spread the sound of Burl Audio and our revolutionary gear. With a warm, musical sound, the B80 Mothership and the new B16 Mothership have redefined digital recording. Bringing the soul back into music, you don’t realize what you’re missing until you hear it. This May, Burl Audio will be heading to Detroit, Toronto and Montreal to share the difference in all that is Burl. If you’re curious about the Burl Audio sound, we invite you to come and A/B the B80 Mothership to experience the difference for yourself. 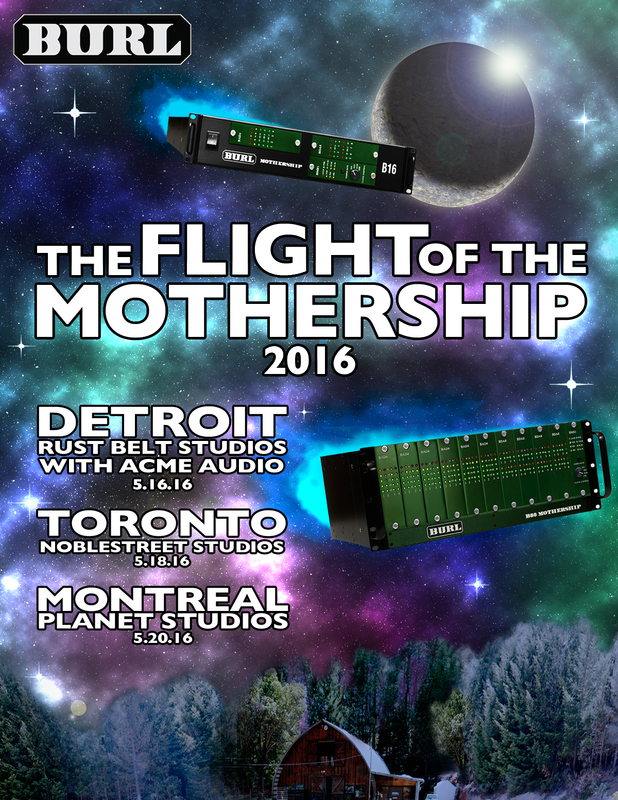 In Toronto, a very special guest will be joining us as we do some live tracking through our B80 Mothership, Our friend and legendary recording engineer and producer, Eddie Kramer. Each of the events will begin at 7 pm. Event agendas will be emailed to everyone who has RSVP’d. Be sure to RSVP below to reserve your spot.